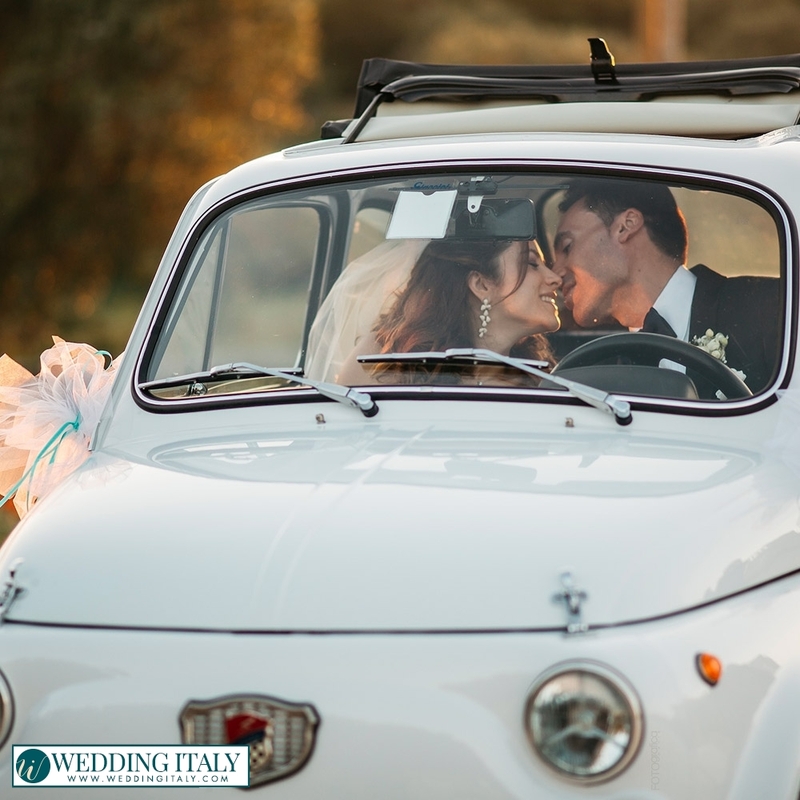 In Italy there are many “iconic” vehicles: how about choosing one of them to arrive at your wedding venue (Fiat 500 and 600, Alfa Romeo, Lancia, why not a Vespa?). 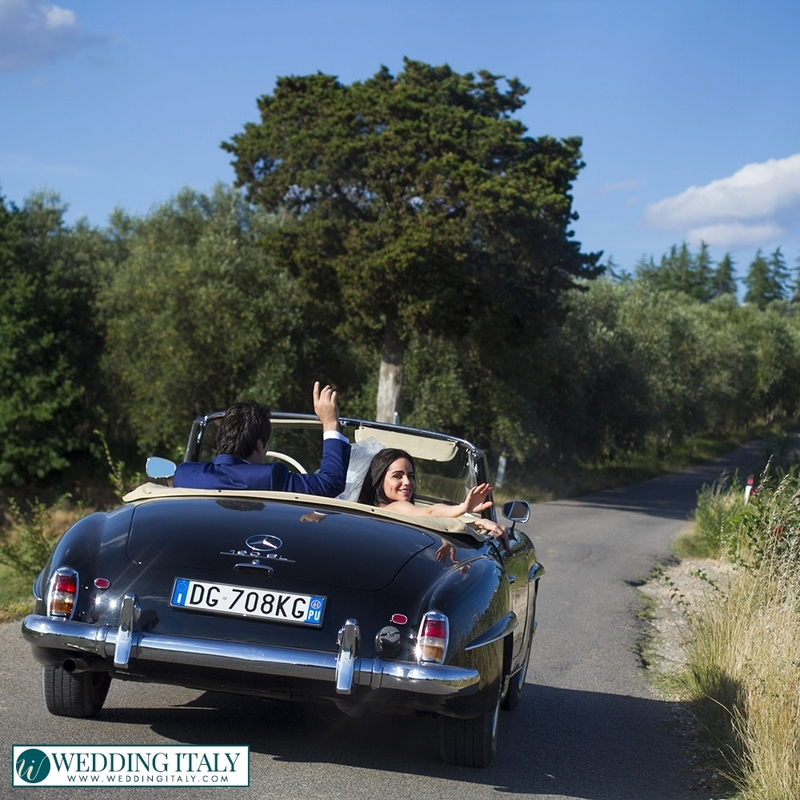 We can also manage using the chosen vehicle to take some pictures for your photographic service for your wedding in Italy. 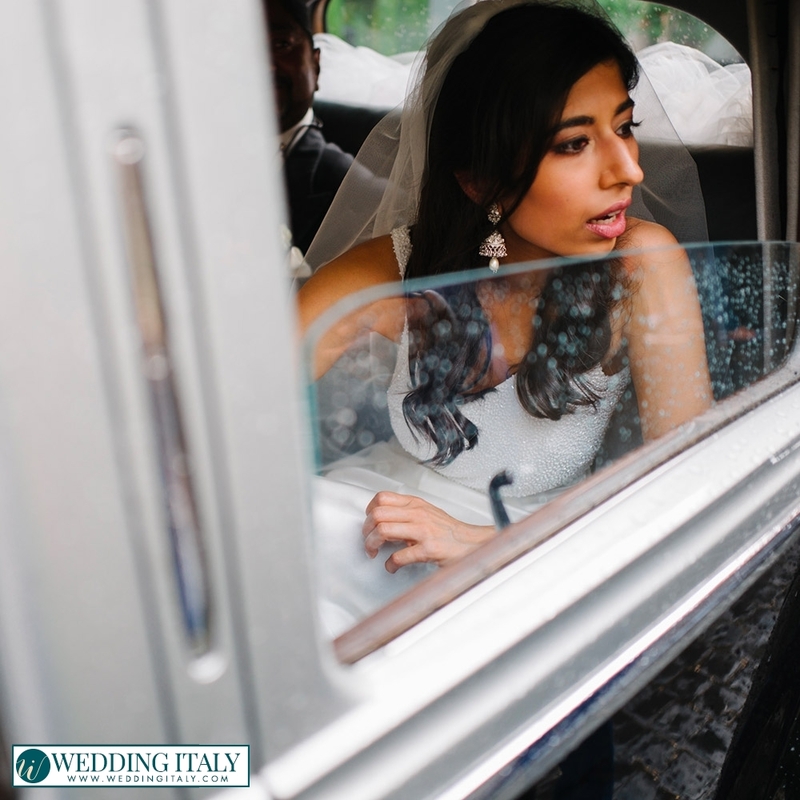 A bride is the true star of her wedding: and a true star has the right to make a triumphal entrance! 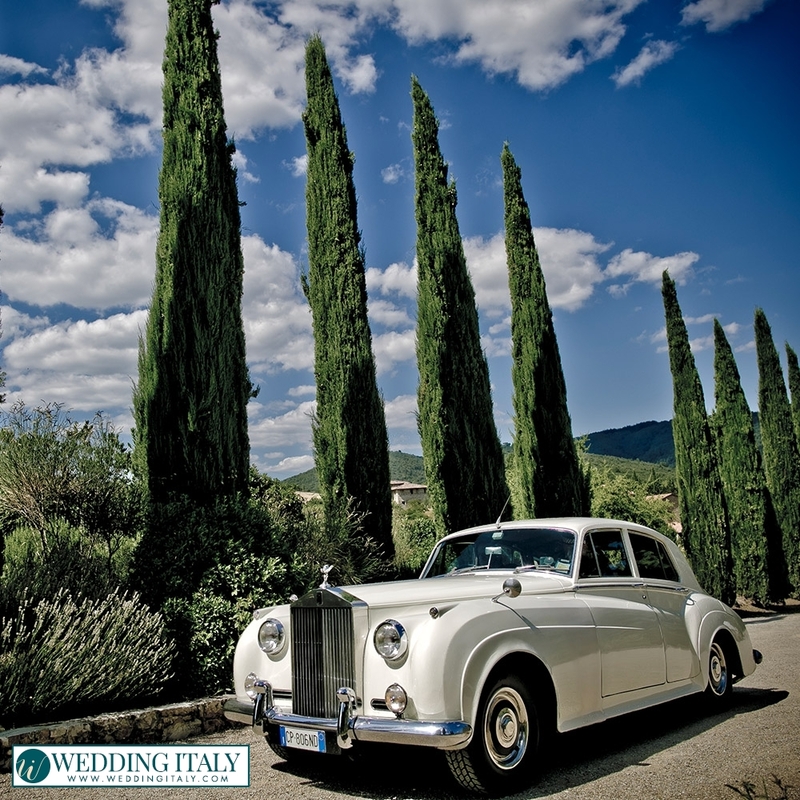 What about arriving at your Italian wedding venue in a luxurious limo? 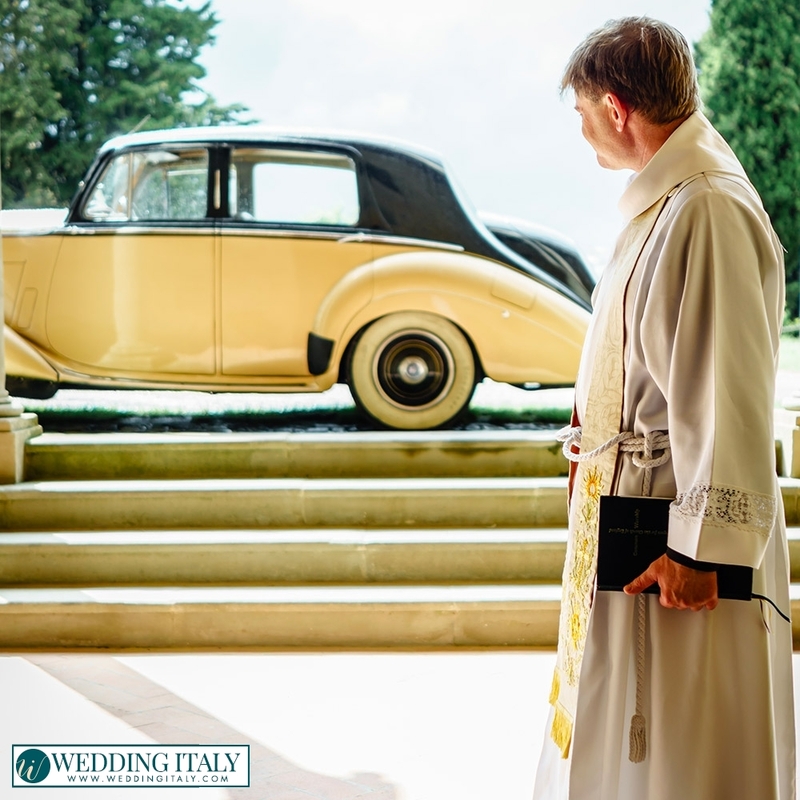 Are you getting married on the beautiful Italian Lake District?What about choosing a beautiful boat for your wedding transportation in Italy? 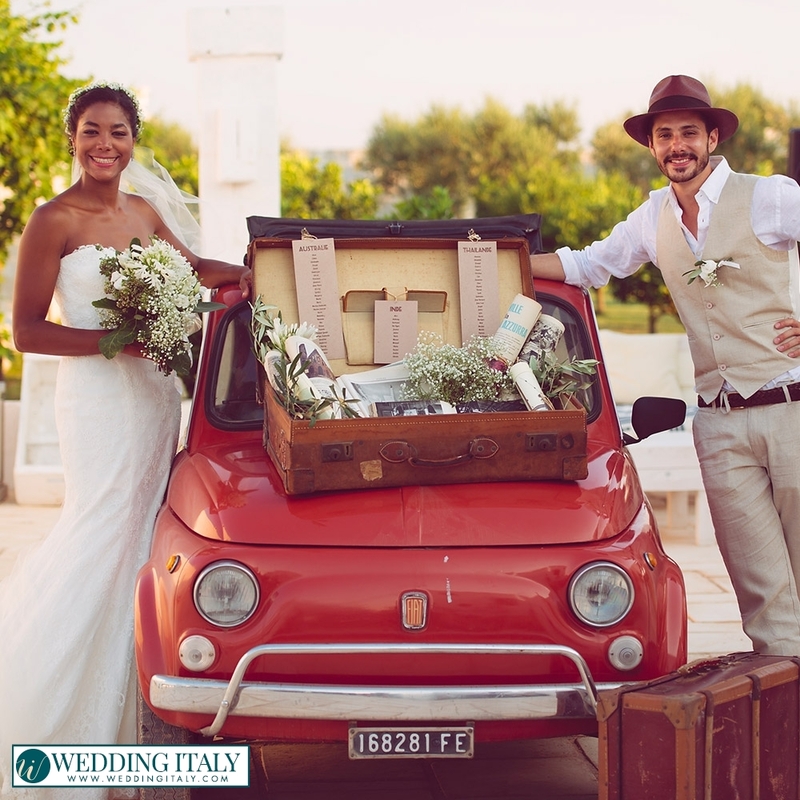 Did you choose the enchanting city of Venice for your special day? 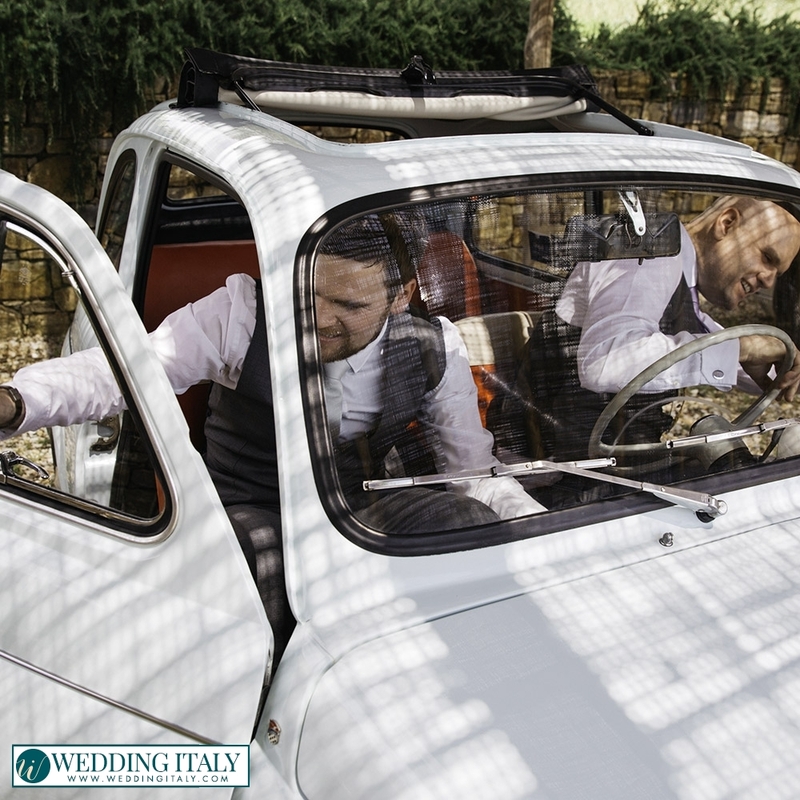 In that case why not considering a tour in the traditional Venetian gondola for you and your guests? 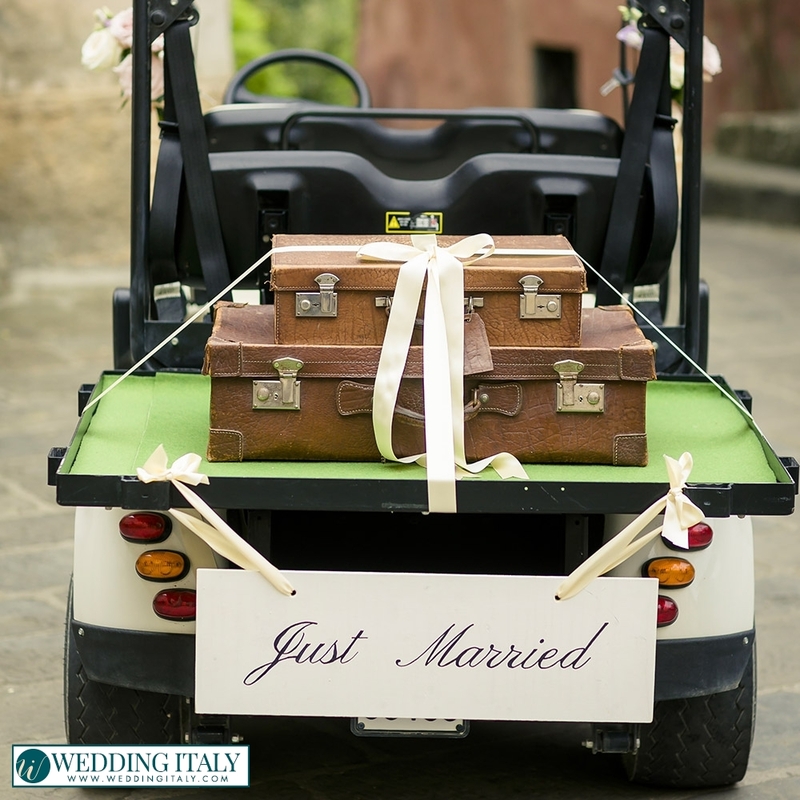 No matter how you want to get to your wedding, we will manage it for you! 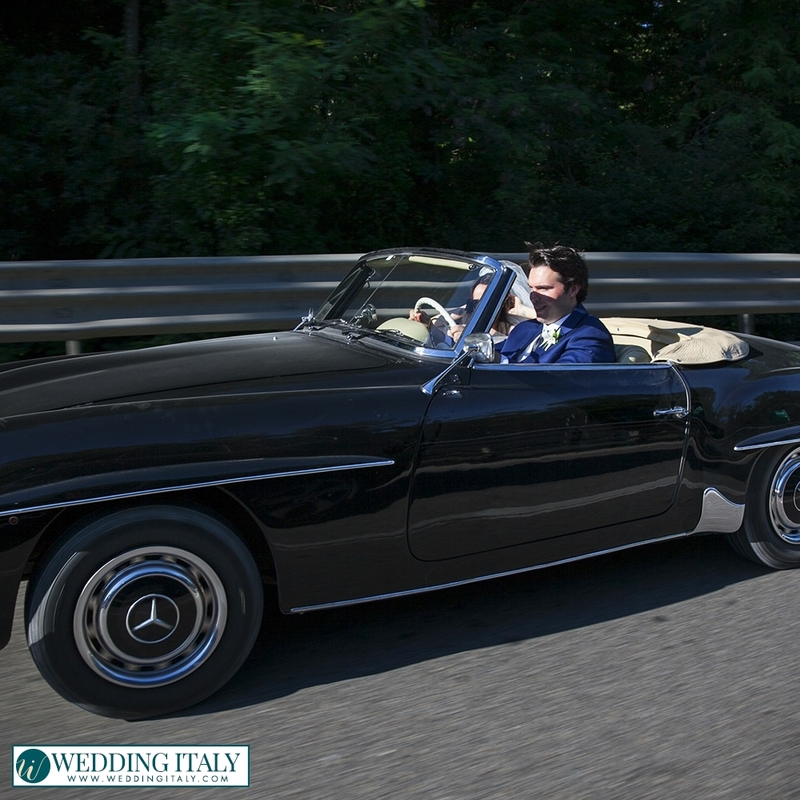 We can offer you transportation services of all kinds. Every request will be promptly satisfied! 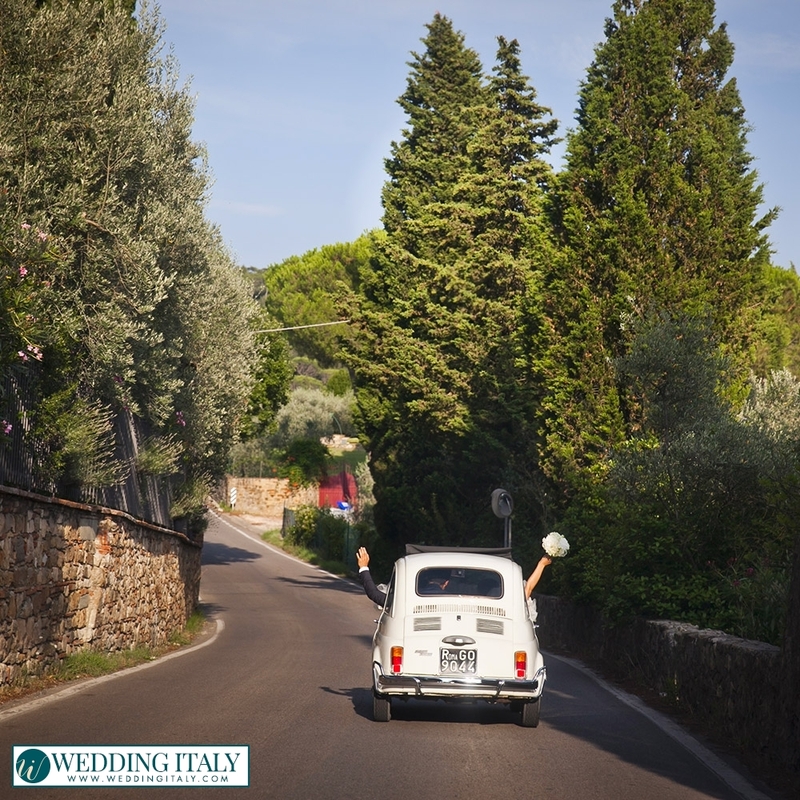 Wedding transportation in Italy for your guests to the venues during your wedding is also very important! 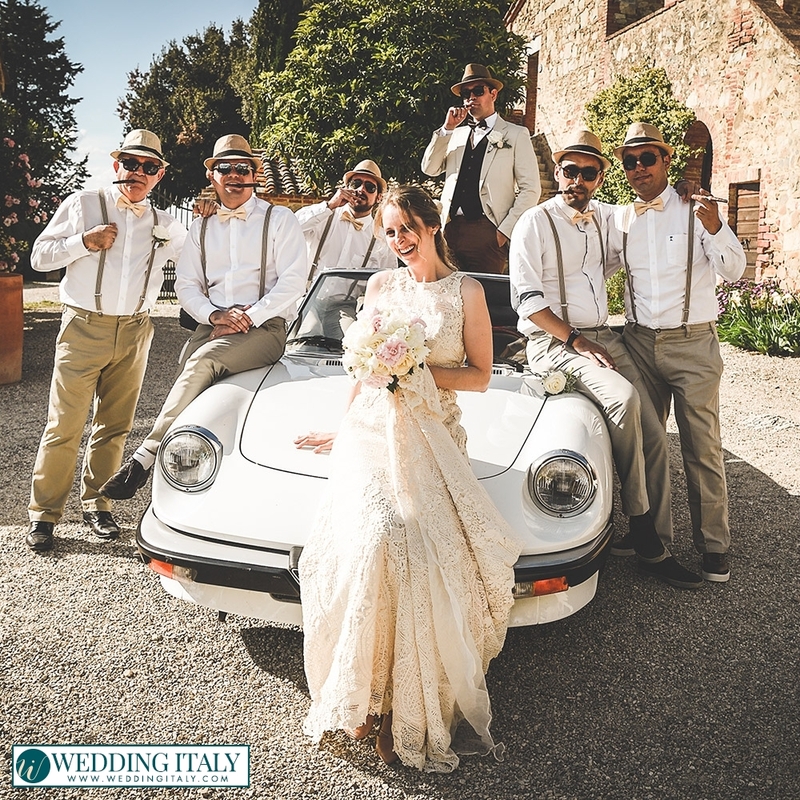 Driving back from a late night party in Italy can be transformed into crazy adventure only suitable to an “adventurous driver” and the country famous throughout the world for not being an easy place to drive is Italy! 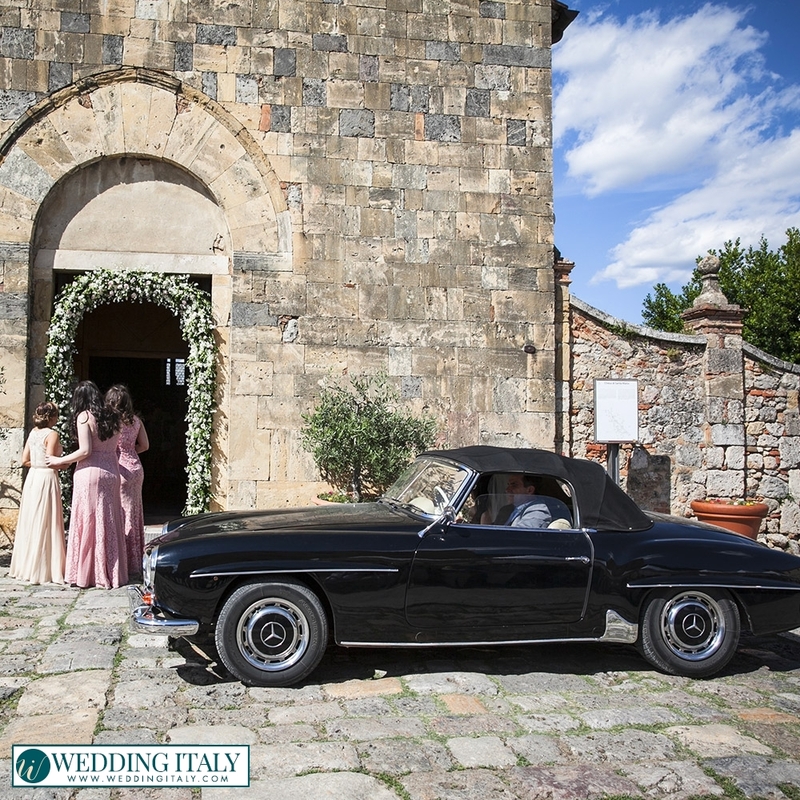 SO a late wedding transportation back to the hotels after the long wedding is ideal for the peace of mind of your guests. 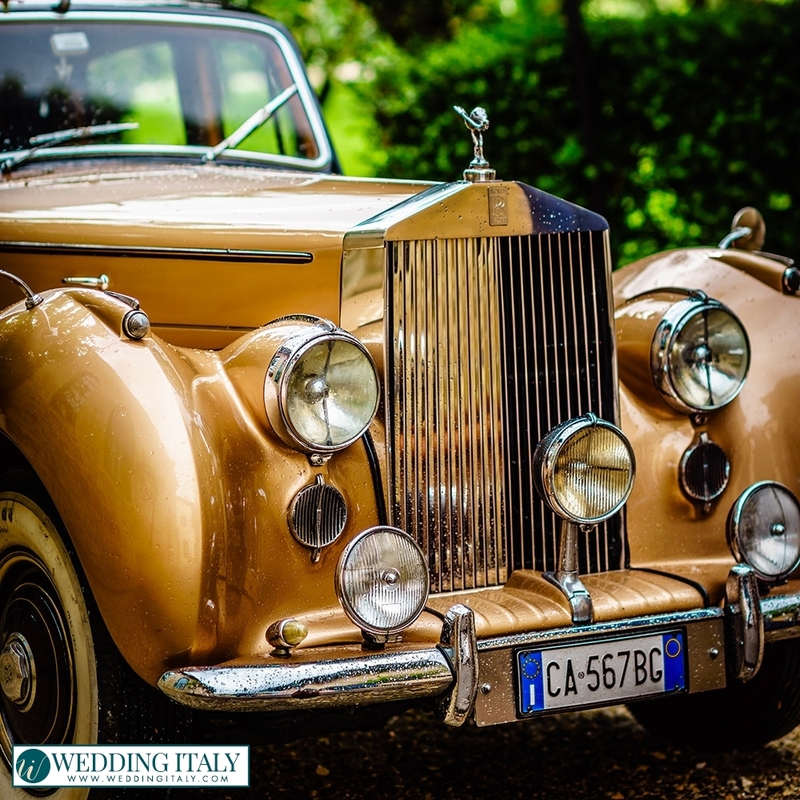 We can manage your transfer to the wedding location with modern, vintage, unique, special vehicles. 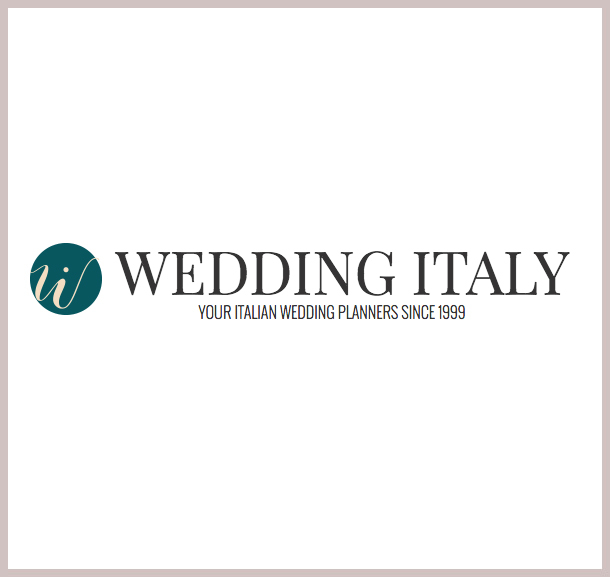 All you have to do is ask us! 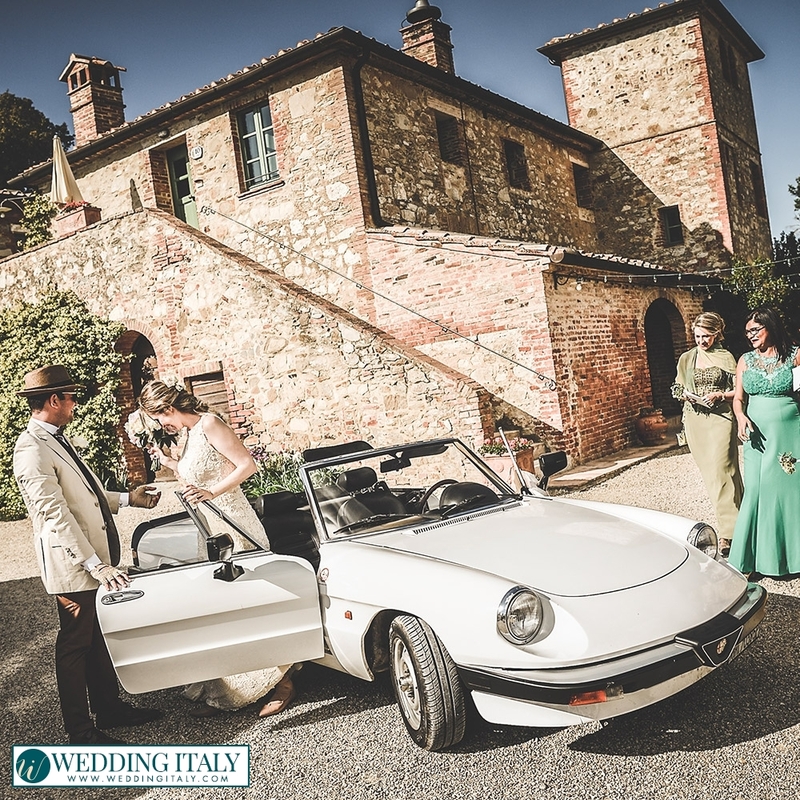 "Our time in Tuscany and the wedding was unbelievable!!! It was our dream day that you made..."